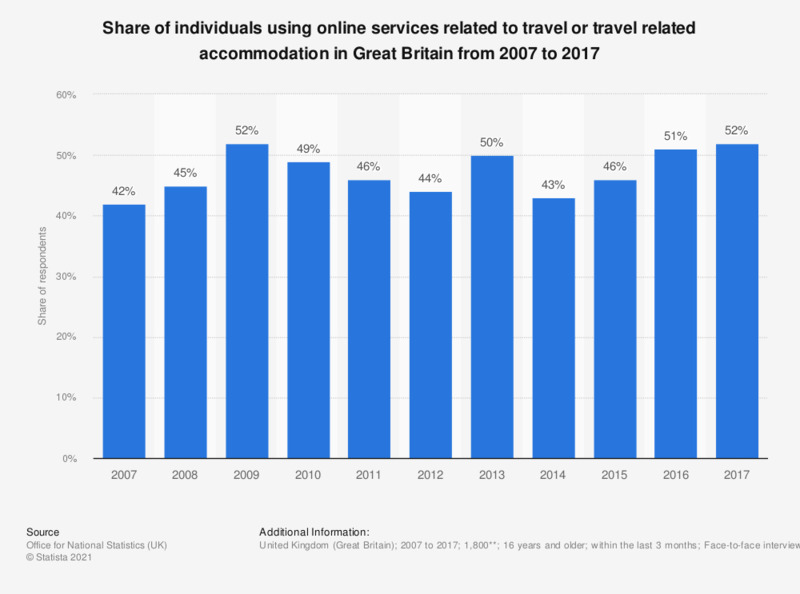 This statistic shows the usage penetration of online travel and travel accommodation websites among individuals in Great Britain from 2007 to 2017. In 2017, 52 percent of individuals performed this online activity. In what ways do you think that digital technology can enhance your travel experience?